Learn how to offer gentle massage to your child and to yourself at this workshop! 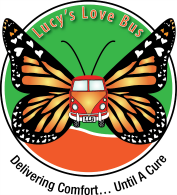 Led by licensed massage therapist Kerri Padgett, who has completed pediatric, oncology, and infant massage training through Liddle Kidz Foundation and offers massage as a part of the programs offered through Pedi Pal and Lucy's Love Bus. This workshop is open parents/caregivers and kids of all ages!